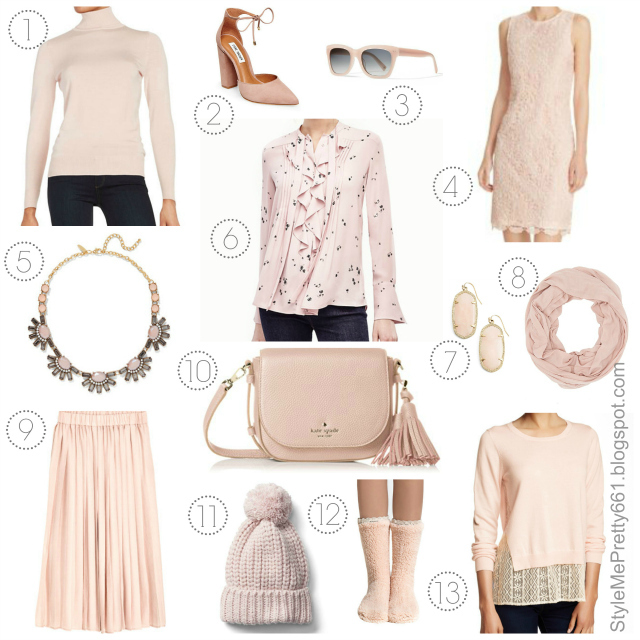 Blush-pink is everywhere right now and I couldn't be happier! From soft sweaters and knitwear to pleated skirts, jewelry, handbags, and even shearling socks, it's become a front-runner in the fashion industry, and it's clear to see that it's here to stay. And I don't know about you, but I just can't seem to get enough of it right now -- it's such a soft, feminine, beautiful color -- and I find myself incorporating it more and more into my wardrobe. If you have a penchant for pink like I do, I've rounded up several blushing beauties that are sure to satisfy your craving and that won't break the bank! Woohoo! I couldn't stop myself there, though. I spotted even more pretty pieces that I'm coveting and that I just had to share with you...because sharing is caring, lol! Are any of these calling your name? Let me know which ones!